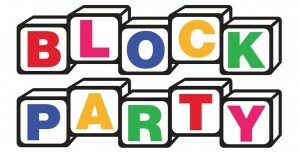 UW-Extension educators are invited to use the blocks for local community events. The block collection includes: keva planks, unit blocks, cube blocks, foam blocks, and cardboard blocks, a block party banner, and five informational boards. Please see the calendar below to check the availability of the blocks. Please give at least one week advanced notice to use the blocks. Blocks may be picked up at the Racine County UW-Extension office in Burlington or the Marquette County UW-Extension office in Montello between the hours of 8:00-noon and 12:30-4:30 p.m. Please return the blocks to either Racine County or Marquette County UW-Extension offices promptly to ensure that the next person reserving the blocks has access to them on-time.